You guys often ask me this question in the emails: “How do I get ideas for an IELTS essay, when I don’t understand the topic?”. And you’re right, it is extremely hard to write about something you don’t understand. Work on your vocabulary and learn new words, to make sure you will be able to understand the topic or at least take a very good guess. 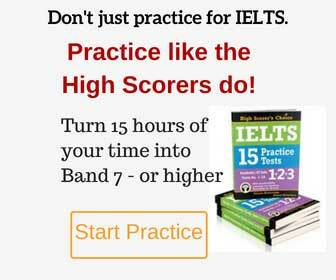 Read as many IELTS essays as you can. You can find many sample essays here. Reading other people’s essays helps with the ideas, if you don’t have any of your own – “borrow” from others. Important! Don’t try to memorize essays. IELTS examiners are trained to look for memorized essays and they will disqualify your work on the spot.